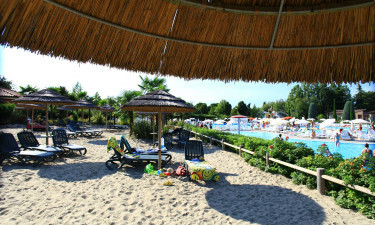 Bella Italia is one of the most respected holiday camping sites within Italy, and for good reason. Situated on the tranquil shores of Lake Garda, bungalow tents, mobile homes and luxury tents will afford truly magnificent views of the surrounding environment. With a host of other activities to enjoy when camping in luxury, it is no wonder why so many visitors choose this spot for an ideal camping holiday. Do not hesitate to contact LuxCamp for further details or to book an upcoming reservation. Please note: Bella Italia is providing accommodation for a big school sports event in the period from April 8th to April 15th where approx. 2000 young kids aged between 13-17 years will be staying at the campsite. You must expect some noise and a lot of happy young kids in this period. For a night out on the town, the nearby village of Peschiera will offer you a number of different options. Restaurante Corte Riga can provide a more traditional ambiance while Le Terraze supplies you with picturesque views of Lake Garda while dining. Finally, Locanda Bella Italia boasts great food and poolside cocktails; perfect if you wish to treat the entire family to something special. Most importantly, all of these spots are only a few minutes away from your mobile home or bungalow tent! A final amenity offered at this luxury camping site is that you and your family can shop for groceries and other provisions at a local supermarket located within the town. So, you will always be able to procure your favourite items with ease. Lux-Camp is happy to provide you with further information in regards to this unforgettable camping holiday. As mentioned above, one of the most pronounced features of this luxury camping site is its proximity to famous Lake Garda. Thus, you and your family can expect to enjoy a wealth of activities. From simply taking in the sun during the warm months of summer to being able to participate in such activities as sailing and surfing, you will never find a lack of options here. 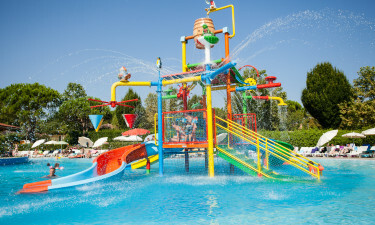 Why should my family choose the luxury camping at Bella Italia?